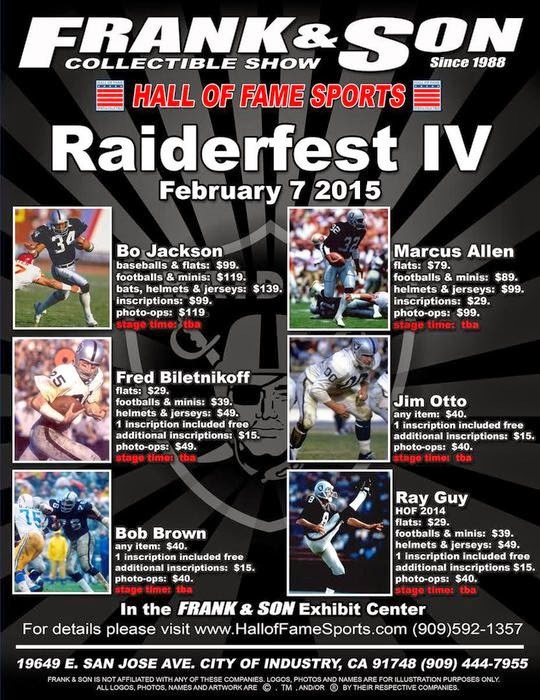 Bo Jackson will be at Frank & Son Collectible Show this Saturday! Along with over 15 former players from the Raiders organization. Big show from Hall of Fame Sports. Click here for more info. This is my favorite Bo Jackson moment. His big home run in the 1989 All-Star game and Vin Scully calling the game with President Ronald Reagan in the booth. Bo played for the Dodgers? I was at that game as a 16 year old. The old Big A was a true football stadium so I'm guessing there were 80,000 or 90,000 seats and my dad and I scored seats in the outfield, roughly 950 rows back.